Identity theft is any type of fraud resulting in someone losing their information relating to banking, credit cards, passwords and user names. There are different ways in which you can lose your identity. One way is online. This is also called phishing. 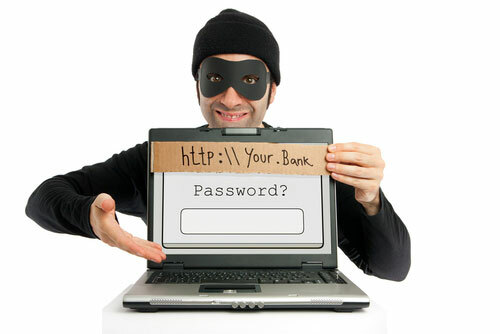 Phishing is one type of online Identity theft. Fraudulent websites are created to hack into your Computer to access your personal data which would includes your credit card numbers, bank account data and other personal data. It also utilizes fraudulent email accounts. These accounts send messages to your account and once you click on the email you are have opened yourself up to hackers. Criminals often send email messages which states that you should click on a link to get some type of product or service from websites that you are accustomed to using such as your bank’s website. It is a way to gain your trust. It will ask you to submit personal information. Your bank information can be used to open new accounts that would be in your name, to acquire a new loan, to steal money and transfer money from one account to the other. The question of what is identity theft? is further defined. The words Identity theft and the meaning was created in 1964. It is when someone has stolen your identity and pretends to be you. That person will do things in your name. He will basically be carrying on with his life while using your identity since he would access to your full name, your identifying information, and your personal information and resources. Someone who has had his identity stolen is on the losing end. He would be gravely affected since he would have someone out in the public using his bank details, credit card information and social security information with the intention of ruining their reputation and placing you in bankruptcy. It is to be noted that social security theft is a major offense and the offender could be in jail for a long time for this. Identity theft has been a common issue in America. American citizens should know that in order to not be a victim of identity theft they should practice precautionary or preventative measures such as keeping your social security information out of reach. Ensure that you shed all your personal information that is lying around in your house, since this information could easily fall in the wrong hands. Ensure that you do not give out your social security number unless it is to a trusted source. You should make it a practice to keep all your receipts safe, and especially bank receipts obtained from ATM transactions. You should never speak aloud about your financial situation since people would know and use it to their advantage. If you are using your home and office computer to pay your bills and to do online banking ensure that your home or office computer is equipped with the latest security technology, since updated security can combat the technology that the hacker will be using to get into your Computer. This helps in preventing theft. There are some tell tale signs that can indicate to you that you have become a victim of Identity theft. If you were denied credit even though you good credit. If you have received credit cards even though you have not applied for it. If you are continuously receiving calls and letters from debt collectors and lending agencies regarding purchases that you have not made. If you no longer receive your usual mails, especially your credit card statements and your bank statement to your home address. There are different types of Identity theft. They are divided into various categories which are Identity theft of a child, pretending to be someone else after you have been arrested for a crime. This is called Criminal Identity theft. Using another individual credit card to obtained goods and services and also credit. This is called financial identity theft. Using someone’s identity on a daily basis and pretending to be that person. This is called identity cloning. Using someone else identity in order to gain medical care or to obtain pharmaceutical drugs. This is called Medical identity theft. Child Identity theft commonly takes place when the social security of a minor is used by another person who is considered to be an imposter. This person is usually someone who is close to the minor, maybe a family member, a family friend or someone who prey on children. Minors’ Social security is valued commodity since there is not much information on the social security. It would be a blank slate. Medical Identity theft poses a serious risk to the person who is affected since the criminal’s medical history in most cases will be added to the affected person’s medical history. This could affect the person’s insurance and affect the way Doctors will treat you if you have an illness. If reference is made to your medical history, the hacker’s medical information may also be shown. Identity cloning usually occurs when a hacker wants to be anonymous. They are posing to be someone who they aren’t. Illegal immigrants are usually engaged in this type of identity theft. Trying to figure out weak passwords by doing brute force. Scanning social network websites for personal information that a user might have published. Trying to guess someone’s social security number by getting hints from personal information retrieved from popular social networks. Using deception to get Help desk or Customer Service Department workers to divulge other people’s information. Obtaining banking information and account numbers by stealing your checks. This entry was posted in Credit, Data, Privacy on December 23, 2013 by The Privacy Advocate.